.The new pneumatic impulse foot sealers is unique , because the actual sealing pressure is now strong, consistent and controllable. Sealing pressure is increased and consistent, saving time, energy and no noise. Helpful in sealing application where time and pressure need to be regulated. 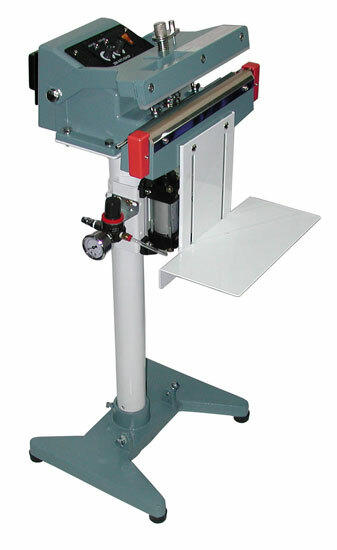 These unique sealers are quieter in that the clanging noise found inmost other automatic sealers is reduced.